Built in 1936, Red Mountain Lookout is also the oldest lookout on the Idyllwild Ranger District. 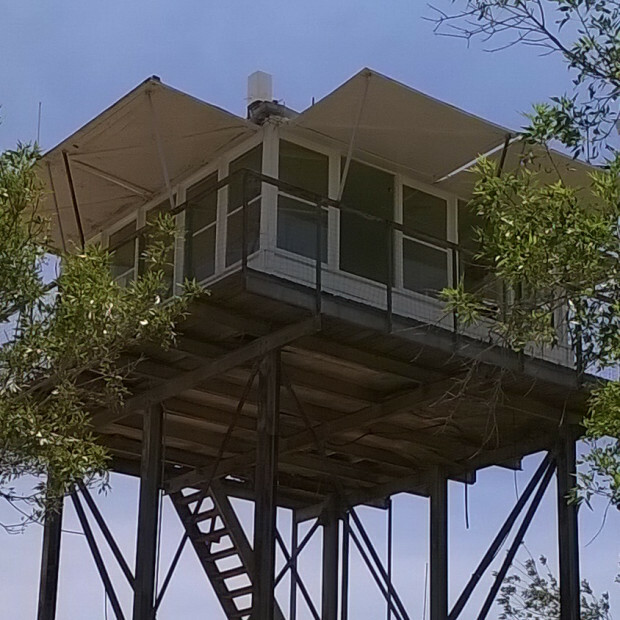 It is a R5 1934 standard 14’ x 14’ BC-301 series wooden cab with catwalk atop steel H-brace tower with steel I-beam corner posts. Now rehabilitated, it returned to service with volunteer Lookout Hosts in October 1998, and is currently operated by volunteers of the Southern California Mountains Foundation. With its proximity to the Cleveland National Forest, Red Mountain lookouts coordinate daily by radio with the volunteer lookouts of the San Diego-Riverside local chapter of the FFLA on Palomar Mountain.